Home > Ready. Set. Save. Are you thinking about buying The National Wedding Show tickets? You can get more for your money with a wedify membership; on top of access to the The National Wedding Shows for the year, you’ll get exclusive discounts and savings from the best names in the wedding business. From finding your dress and booking your venue through to shopping for those last minute finishing touches, a 12-month wedify membership gives you access to it all in one easy to use app. 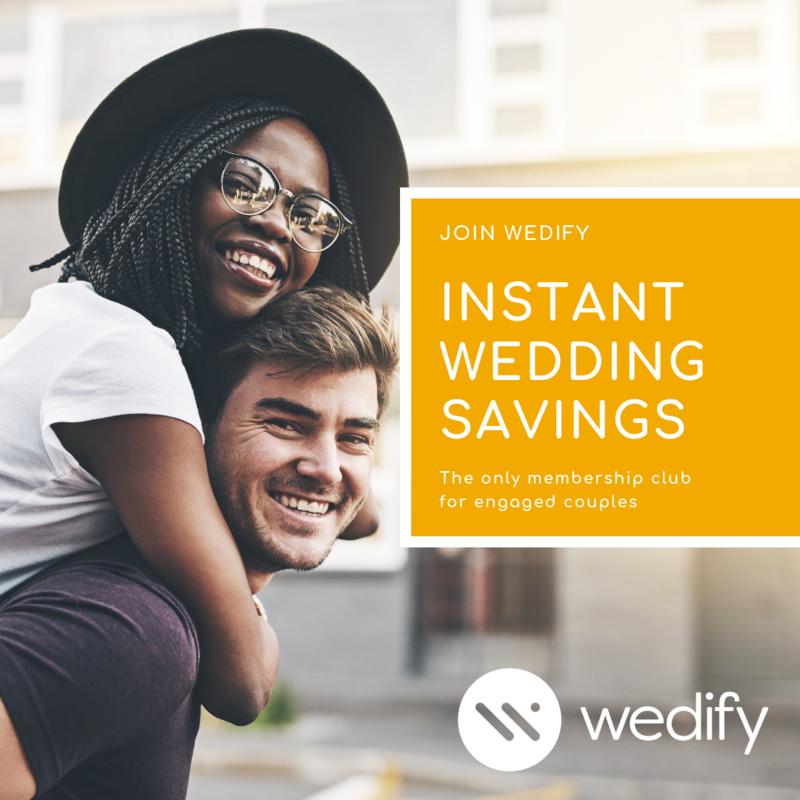 Whether you’re recently engaged and want to save hundreds on your wedding planning, or you want to spoil your favourite newly-engaged couple with a gift that keeps on giving, wedify is the only membership club for you! Plus exclusive savings and secret deals from TUI, The Wedding Shop, I Heart Wines, Wedding Style Collective and London Grace, to name a few! And if you’re buying as a gift, you can add a beautiful wedify Engagement Gift Box (worth £75) which will be delivered direct to the couple’s door.